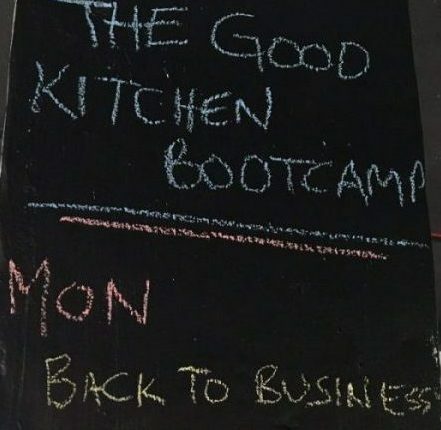 Through @VitalSix and@_GoodKitchen we ran an excellent strategy and planning session on Mon 25th September as part of the Good Kitchen Accelerator Programme. All praise must go to @bonniesychiu for the vision for setting up such a programme and funding. Entocycle – www.entocycle.com. Keiran Whitaker and team are in the forefront of creating insect protein on a scale that will change the animal feed industry forever. This is the future – see what British/Brazilian innovation can do! Mimica Labs – https://www.mimicalab.com. 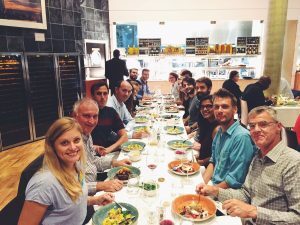 Solveiga Pakstaite had a great idea and with her excellent team of food scientists they could change the way for is labelled for the first time in decades, and at the same time reduce for waste. This almost defines innovation! Make Kit Food Ltd. – https://makekitfood.com. Food recipe kits are all the range now BUT not many have a social ethos at their very core and a focus on a locality and community which is heartening to see. Justine Fish & Stephen Wilson are the real driving forces behind this great endeavour. Cultivating Future – www.cultivandofuturo.com. All the way from Colombia Dario, Carlos and Edisson have a developed a way of optimising food production in their country through the use of easy to use and understand communications technology. Bringing farmers, suppliers and markets together is going to massively improve the productivity, not just of a few farmers, but potentially the whole Colombian agricultural economy! This could be a real game changer on the international stage! FazlaGida (Whole Surplus) – https://www.fazlagida.com. Overcoming obstacles in Turkey today has probably made Olcay Silahlı and Arda Eren that bit stronger. Their streamlined system of organising food surplus donation and measurement will make the managing CSR targets for corporates so much easier. Their surplus food management system matches those in need with those to give. This is technology for a great end!